In some of the funniest radio I’ve heard in a long time, Dave Ramsey (of the Dave Ramsey Show) responded to an emailer’s question, in which the caller asked what she should do with her BP shares, now that they have declined. He screamed into the radio, to paraphrase, “I don’t buy single stocks, because you never know when the company you buy will dig a hole into the bottom of the ocean and kill everything in the vicinity!! !” For those who don’t know, Dave Ramsey is the author of a series of books and the host of a popular radio show. The theme of the show and the books is getting out of debt and generally getting your financial house in order. 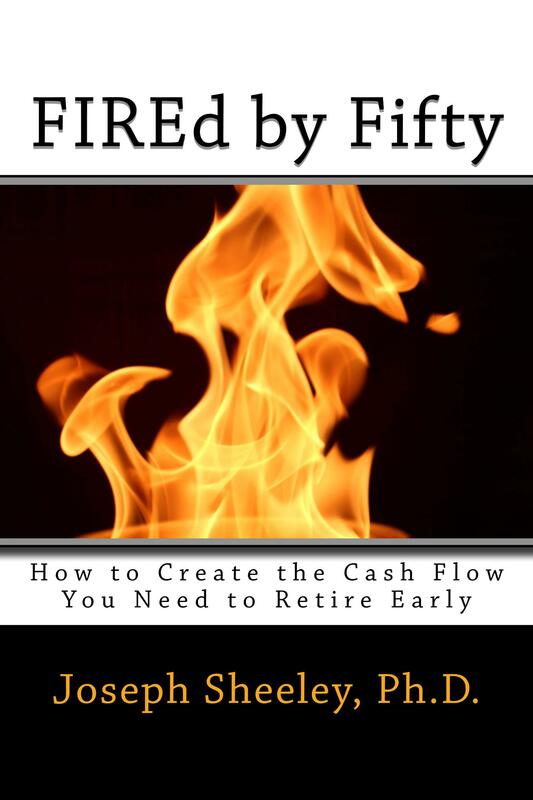 I like to think that my second book, FIREd by Fifty: How to Create the Cash Flow You Need to Retire Early , takes what Dave Ramsey provides and amps it up. In fact, it takes you from the point where Dave Ramsey leaves off, when you’re out of debt but without any real wealth, and tells you how you can then use your income to grow financially independent through investing. 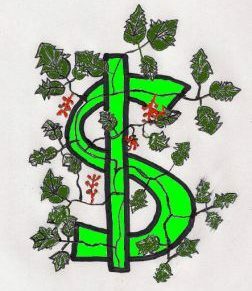 You will learn how to create a cash flow plan that will allow you to predict where you will be in ten or twenty years. You can then change your plan so that you can hit milestones you want, like being financially independent and able to quit your job by the time you’re 45. Mr. Ramsey shuns individual stocks. His investing style is to buy mutual funds. Specifically, he spreads his investments over mutual funds in the categories of growth, growth and income, aggressive growth, and international. He does not buy individual stocks because he believes the risk to be too great. And as he said, you never know what will happen with any one stock you own. It may actually drill a hole in the bottom of the ocean. Or it may just really misread demographics and see earnings implode. While I do not agree that mutual funds are the only way to go, ownership of only one stock is not advisable, and the number of stocks owned should grow as one’s tolerance for risk declines. To invest in individual stocks, one must understand their behavior and plan accordingly. The price of individual stocks changes rapidly, and sometimes for no good reason. The current price offered reflects people’s feelings about the near-term prospects for the future, what the market is doing, what people expect others to do, where other investments are priced, other events in people’s lives, and recent movements in price. One cannot buy a stock and expect 10% to be added to their bank account year after year just like a savings account. Some years it will double, other years it will fall by 50%. Some years it will move up or down by less than 2%. Bad things do happen to good companies as well, and sometimes individual stocks fall rapidly in price, sometimes never to recover. Because of this, placing large amounts in only one stock or even just a few stocks is foolish. There were many retirees from GE who watched their life savings implode along with the price of GE stock during the last recession. If you have large sums of money, you should spread it out over a number of stocks, and even into different sectors and asset categories (stocks, bonds, treasuries, etc…). This may mean that a great deal of your money should be in mutual funds, just as Dave advises. For those who do not have a lot of money, however, concentration in a few stocks can be a good thing. If one is a fairly good stock picker, or even picks one huge winner out of five, one can do very well. The difference is that if one has a lot of money, the risk of losing a large sum outweighs the potential rewards that can be gained through concentration. If one only has a small sum to invest, however, it is worth the risk of suffering a loss. For example, if you only have $1000 and it grows at 10% per year in a standard stock mutual fund, you would only have $2000 after 7 years. If you picked a hot stock, however, it might go up 1000% over that same seven years. It is worth the risk of losing the $1000 for the potential to have $10,000 after those same seven years. This isn’t to say that you should just invest the original $1000 and then go about your life, however. You may very well pick a stock that doesn’t go up 1000%. In fact, your chances of picking a 10-bagger, as such a stock is called, is fairly low. Instead, you should save up another $1000 and invest it in a second stock. Then save up another $1000 and buy a third. Then, save up another $1000 and buy whichever of your three stocks looks like the best purchase at the time. You keep doing this, adding to your portfolio, until you start to have enough money to worry about losing. As this starts to happen, you start to shift your winnings into mutual funds for preservation of capital. 1. Never have more in one position then you are willing to lose. If you cannot afford a loss of $1000, you do not belong in individual stocks. Very few people (except multi-millionaires) could afford to lose $100,000, so positions that grow so large should be split up into smaller positions. Perhaps, for you, $25,000 is the magic number, so you should sell half if a position grows that large. 2. On the other hand, make sure positions are large enough that if one is right about a stock, one make’s a good profit. It does no good to be right about a stock that goes from $20 to $40 if one only has $500 invested, since only $500 will be made. Make sure to take large enough positions so that your winners will result in a large return. I typically hold positions of 500 to 1000 shares. 3. The more money you have, and the shorter your time horizon, the more diversification you should have. If you have a significant amount of money, or if you do not have much time to recover from a setback, your level of risk should drop. A person who will retire in five years and plans to live off of his savings should not have his money invested such that a drop in a few stocks would affect his plans. 4. Have money that is really needed in the next three to five years in cash. Again, if you will be retiring soon, there is nothing like having enough to live on for five years in cash. If the market decides to tank then, it won’t affect your retirement plans. It was sad to hear of so many putting off retirement because of the recent recession. Instead, these individuals should have been sitting on a pile of cash such that they could care less about the stock market drop. Realize also that bonds and other fixed-income assets can actually outperform stocks over short periods of time, like three to five years. A 5% interest payment can beat out a possible 15% stock capital gain during some periods of time. Since you don’t know what the next three to five years will bring, it is best to hedge your bets and have stocks, bonds, and cash. If you’d like to learn more about single stock investing, the SmallIvy Book of Investing: Book1: Investing to Grow Wealthy is a good place to start. In addition to reading the SmallIvy Book of Investing: Book1: Investing to Grow Wealthy , some of the classic books on investing will help provide a good foundation. For example, A Random Walk Down Wall Street, One Up On Wall Street: How To Use What You Already Know To Make Money In The Market and The Warren Buffett Way are all excellent. I would recommend studying each of these if you want to start individual stock investing. Like what you’re reading? Keep the blog going – Refer a friend to the Small Investor.